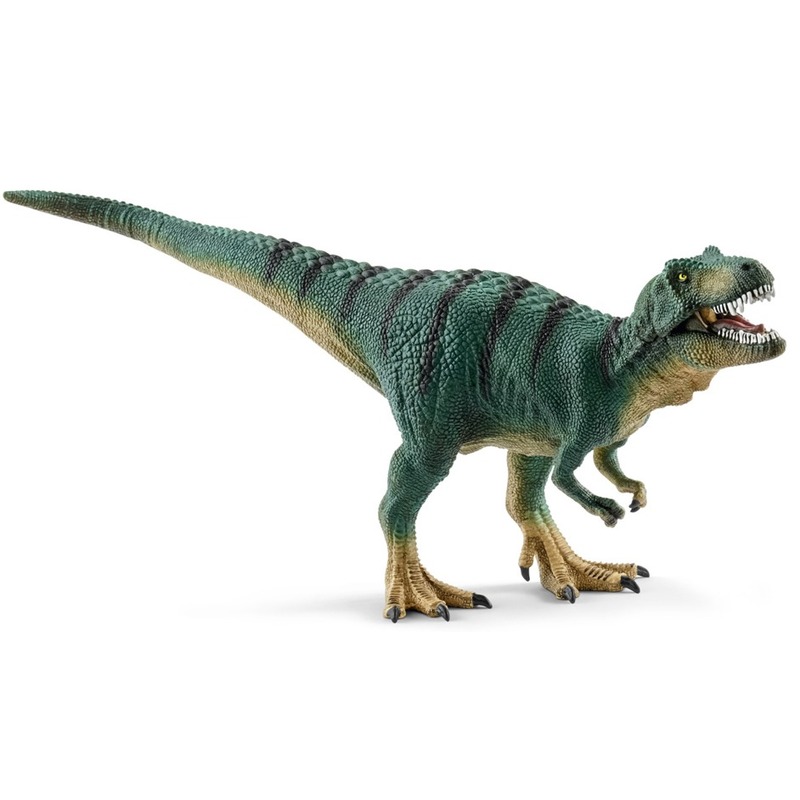 A Schleich juvenile Tyrannosaurus rex dinosaur model. A superb, hand-painted Schleich Tyrannosaurus rex juvenile. A Schleich Conquering the Earth juvenile T. rex. A fantastic model of Tyrannosaurus rex juvenile by Schleich. A Schleich Conquering the Earth juvenile T. rex dinosaur model, complete with an articulated lower jaw. Length 23.5 cm approx. Height of head 10 cm approx.